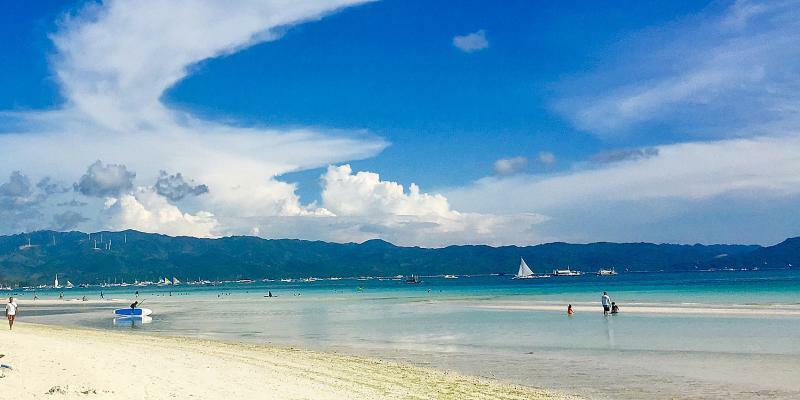 The tropical island Boracay is located in the northern part of the provence Aklan and is one of the most favourite travel destinations in the Philippines. The White Beach is voted for many times as one the top ten beaches in the world. At White Beach you can enjoy a great variety of different kinds of sport or entertainment as diving, sailing, snorkeling, frisbee or just walking along the beach.